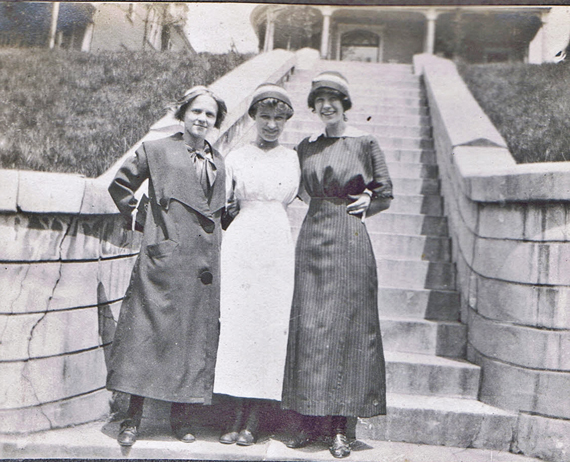 ELHistSoc -Two High School Graduates, 1912, 100 years ago and our town in their time 7. Remember this house from earlier? ELO connection. The house at 2230 St. Clair Avenue in East Liverpool in which my mother, Joseph and Kenneth grew up is now occupied by the Birch Realty. As children, my sister and I spent many happy hours visiting our grandparents, and I have photographs of us sitting with our dolls on the back porch. On a recent visit to East Liverpool, I walked to that back porch and was overwhelmed with nostalgia, remembering the time we spent there. My grandmother, Eva, died when my mother, Berenice was 12, and my grandfather, Harry, remarried. 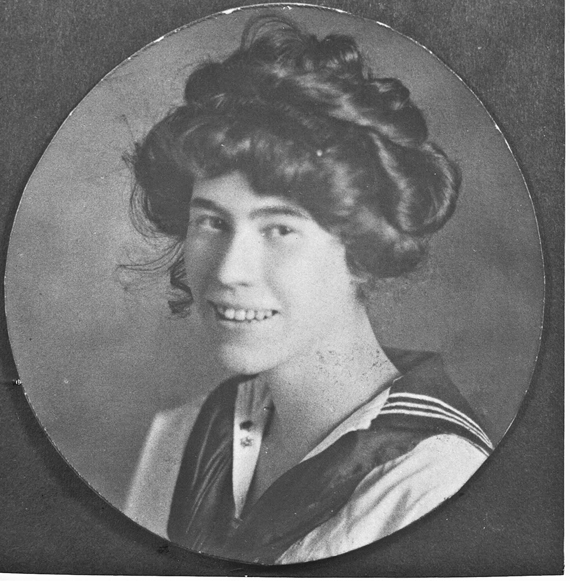 The only grandmother my sister and I knew was the former Sadie Thomas. We called her “Nanny” and she was all that a grandmother should be and more. It should be noted that a year or so after Kenneth’s death, then East Liverpool American Legion Post No. 4 (no longer is existence) and the City of East Liverpool sent Harry and Sadie to France so they could visit the grave of their heroic son. All of this material, including a few letters from my uncle, the late Joseph R. Thompson of East Liverpool, is to be given to the East Liverpool Historical Society to be forever preserved. The back porch that Janie talks about above. We have not found the pictures of her and her sister playing with dolls on this porch yet. We would like fo find and include those pictures in this series of articles. With this picture was the following comment by Janie or Barbara: Dad's favorite picture of mother. 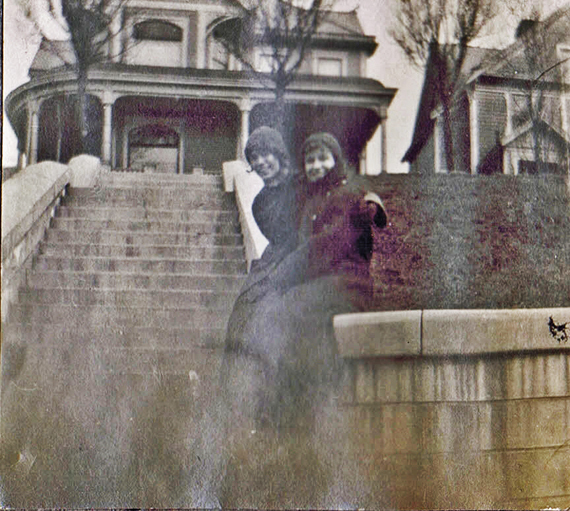 One final note: In one of the letters written by Janie Jenkins to Tim Brookes she mentions that her sister and her had decided that Grandma Steinfeld lived on College Street and that the pictures taken on her porch were taken there. The house was actually on West 7th Street based on the evidence we have in the East Liverpool City Directory and that we have photographed, i.e. what is left of the steps up from the street and the size, shape and general appearance of house on each side of where the Stiffed house had stood. It is quite possible that another relative or friends lived on College Street since there are several pictures in the two albums taken in that area.